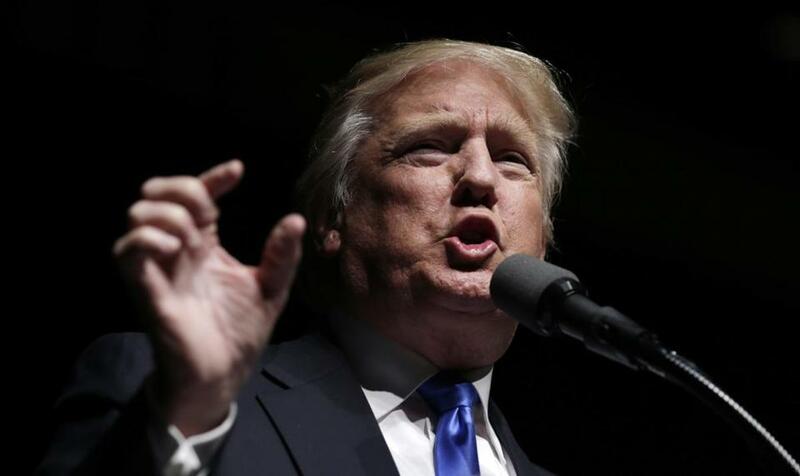 Donald Trump spoke in Hartford, Conn., on Friday. WASHINGTON (AP) — To all the political junkies yearning for a contested Republican convention this summer: not so fast. It’s still possible for Donald Trump to clinch the nomination by the end of the primaries on June 7. His path is narrow and perilous. But it’s plausible and starts with a big victory Tuesday in his home state New York primary. Trump is the only candidate with a realistic chance of reaching the 1,237 delegates needed to clinch the nomination before the July convention in Cleveland. His rivals, Texas Sen. Ted Cruz and Ohio Gov. John Kasich, can only hope to stop him. If Cruz and Kasich are successful, politicos across the country will have the summer of their dreams — a convention with an uncertain outcome. But Trump can put an end to those dreams, and he can do it without any of the 150 or so delegates who will go to the convention free to support the candidate of their choice. What comes next isn’t a prediction, but rather, a way in which Trump could win the nomination outright on June 7. To be sure, Trump will have to start doing a lot better than he has so far. He gets that chance starting Tuesday, beginning the day with 744 delegates. There are 95 delegates at stake in the Empire State, and it’s important for Trump to win a big majority of them. It won’t be easy. There are 14 statewide delegates and three delegates in each congressional district. If a candidate gets more than 50 percent of the statewide vote, he gets all 14 delegates. Otherwise, he has to share them with other candidates. If a candidate gets more than 50 percent of the vote in a congressional district, he gets all three delegates. Otherwise, again, he has to share. Trump leads statewide in the most recent preference polls, with right around 50 percent. New York is a large and diverse state, so he probably won’t win all the congressional districts. Let’s say Trump does make it to 50 percent, but Kasich or Cruz wins five congressional districts; Trump will take 77 delegates on the night. Trump’s running total: 821 delegates. Five states have primaries on April 26, with 172 delegates at stake: Pennsylvania, Connecticut, Delaware, Maryland and Rhode Island. Pennsylvania could be trouble for Trump. The state has a unique system in which 54 delegates — three from each congressional district — are listed by name on the ballot, with no information for voters to know which candidate they support. That means even if Trump wins Pennsylvania, he’s only guaranteed to claim 17 of the state’s 71 delegates. Connecticut awards 13 delegates to the statewide winner and three to the winner of each congressional district, for a total of 28. The New York real estate mogul needs to win his neighboring state. If he does well, he could get 22 delegates. Delaware’s 16 delegates are winner-take-all, increasing the importance of this small state. If Trump loses Delaware, he has to make it up elsewhere. Maryland awards 14 delegates to the statewide winner and three to the winner of each congressional district, for a total of 38. Recent polls show Trump with a significant lead. If he does well, he could get 32 delegates. Trump can afford to lose Rhode Island, which awards its 19 delegates proportionally. In all, it’s a day on which we’ll say Trump claims 93 delegates. Five states hold contests in May, with a total of 199 delegates at stake: Indiana, Nebraska, West Virginia, Oregon and Washington State. Indiana’s May 3 primary is important for Trump. The state awards 30 delegates to the statewide winner and three delegates to the winner of each congressional district, for a total of 57. If Trump can win the state and a majority of the congressional districts, he could collect 45 delegates. West Virginia is another unique state in which voters elect 31 delegates in the May 10 primary. In West Virginia, however, the delegates will be listed on the ballot along with the presidential candidate they support. If Trump does well here, he could pick up 20 or more delegates. Nebraska’s 36 delegates are winner-take-all. But if Nebraska is like its neighbors Kansas and Iowa, two states Cruz won earlier in the race, Trump can’t count on these delegates. Oregon and Washington state award delegates proportionally, so even the losers get some. We’ll give Trump 70 delegates for the month. This could be Trump’s D-Day. Or his Waterloo. Five states vote on June 7, with 303 delegates up for grabs. The biggest prize is California, along with New Jersey, South Dakota, Montana and New Mexico. The only state Trump can afford to lose is New Mexico, which awards 24 delegates proportionally. New Jersey, South Dakota and Montana are winner-take-all, with a total of 107 delegates. California is more complicated, with 172 delegates at stake. The statewide winner gets only 13. The other 159 are awarded according to the results in individual congressional districts. Each of the state’s 53 congressional districts has three delegates. You win the district, you get all three. For Trump to clinch the nomination on June 7 — the last day of the primary season — he has to win a big majority of California’s congressional districts. If he wins 39 districts, he gets 130 delegates. On the last voting day of the primary campaign, we’ll say Trump wins 242 delegates. Trump’s running total: 1,226 — or 11 delegates short of the magic number. Missouri has certified the results of its March 15 primary, with Trump beating Cruz by 1,965 votes. If the results survive a potential recount, Trump wins Missouri and another 12 delegates.